GrandMommy Victoria is the amazing woman who rescued Joy. 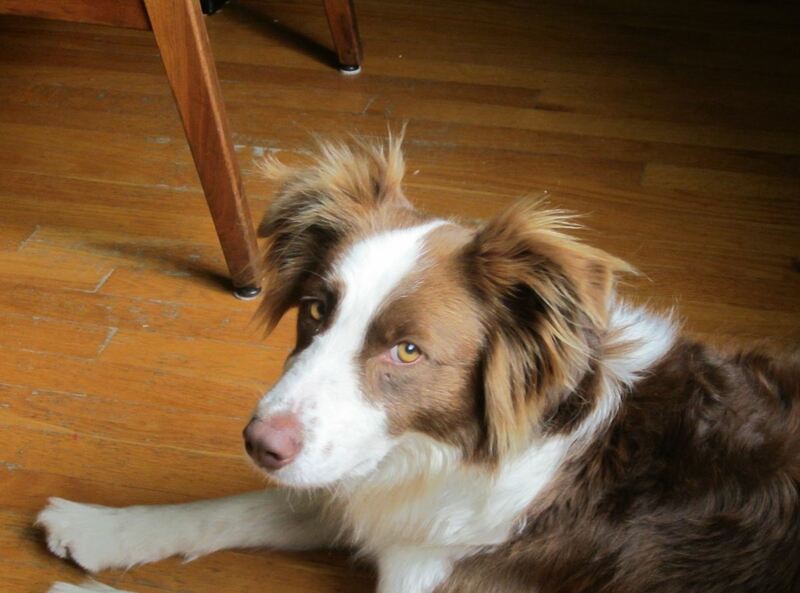 She lived at Indian Summers Border Collie Rescue for a year before Dr. Vic determined that I was Joy’s mom. She says she knew this from the first message I left on her phone. She was concerned that Joy was “quirky” as she likes to call her. I would instead call Joy feisty and many have called me the same thing, so perhaps we were a match. She also described Joy as a dog “who is going to expect you to fluff her pillows, literally. She is a real princess.” Without ever meeting me, Dr. Vic thought I was a princess of sorts as well and knew instinctively that I was the right person after having had hundreds of calls about Joy. There are so many wonderful qualities Joy has and as she cuddles with us intensely, I am always amazed how dogs can go through so much trauma and still wind up on the right side of trust. Joy has so much love to give and she loves that we give her so much attention, time and love right back. Even Safari, her best kitty pal, loved her immediately. Thankfully, we can help Joy explore a whole new world. She still has a little fear – she does not like large crowds of people yet, but she is dealing with it and has become so friendly with people while walking at the park. Her favorite activity there is to chase the squirrels and I do MEAN chase them! 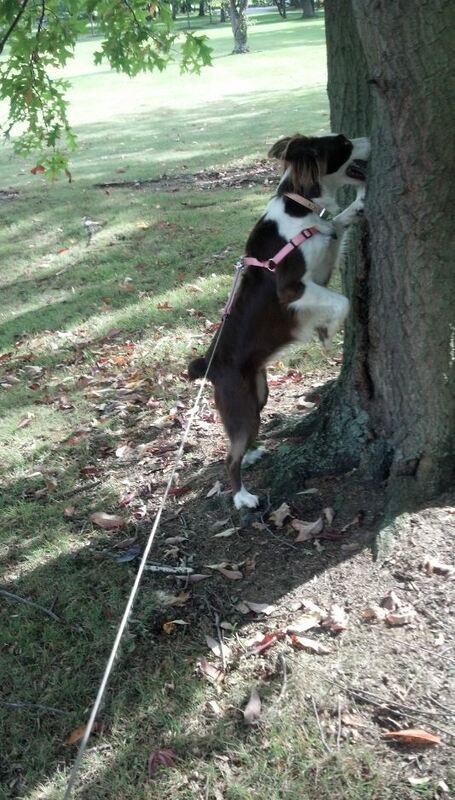 She is strong and fast and she can smell a squirrel a mile away. I praise her each time she finds one and she loves that. Dr. Vic named Joy so perfectly. I remember her telling me that she named her that because she literally was a joy. She does live up to her name. She has a joyous soul and her nickname has become Joyous, actually. She is so easy to love because of the intensity of her giving ways. I cannot thank Bailey enough for leading me to www.petfinder.com or Victoria and Kernie for rescuing her and taking such great care of her before we came along. Things have a way of happening that we cannot always explain and sometimes you really don’t need to know why. It just is as it should be. Categories: Adopting dogs, American Indians, animals, Border Collies, cats, cats and dogs, Dogs, friends, joyfulness, rescue dogs, spirituality, Uncategorized, www.petfinder.com | Tags: baileysjournal.com, border collies, dog rescue organizations, friendship, indiansummers.org, joy, kisses, love, princess dogs, puppy mills, rescue dogs, spirituality, unconditional love | Permalink. For the first time in the four months since adopting Joy, I went back to Indian Summers Border Collie Rescue (www.indiansummers.org). I went there to help with a benefit auction for the organization from whence Joy came. Since coming home to live with us, Joy is such a happy girl. She knows she is loved and cared for and in only four months together, I think she has received thousands of kisses. My husband calls her “his girl,” all the time. She plays with him as he tries to do his stretching exercises each morning. She puts one of her 100, soft, bone-shaped toys gently on his chest as if to say, “well, you are on the floor where I live now, so let’s play!” He loves playing with her and she makes him laugh. She loves Safari, her brother. I think she has kissed HIM a thousand times since arriving. Safari, a cat who only truly shows love towards me, loves he attention that Joy has showered upon him. They lay next to each other all the time. I have been lax on this journal of Joy’s tale but not because I have not thought about many things to say. Just before sitting down to write this I was watching a video by the Humane Society about the raiding of a puppy mill in South Carolina. Joy was originally in a puppy mill and when I think about the deplorable conditions that dogs can be born into it sparks a fury inside my brain that ultimately leaves you feeling almost helpless because there is such vast animal abuse in these United States.. I work so hard to share, post and spread the word of animal abuse and I hope that my little help-cog in the wheel will help get laws changed to make animal abusers culpable when they commit horrific crimes, such as operating a puppy mill. To me, every single one should be shut down in every state. Puppy mills should be illegal it’s as simple as that. I think about how lucky Joy got, from the moment she left the puppy mill to the year she spent at Indian Summers and now in her permanent home, in which princess is the perfect word to describe her style of life. She deserves to be a princess and we are happy to give her the real life that she deserves. The unconditional love from one’s animal companion is the truest of all. I am lucky to have that kind of love with my husband, but I know not everyone, even married people, have that. Bailey found us Joy and I knew that she would find us the girl who belonged with us and she could not have done a better job. Joy is better and so are we for having her in our life. If you can rescue an animal that needs a home, and you have the financial means as well as time to invest, then you should consider helping out a furry one or two. A life lived is fine, but a life lived with animal companions is far better. 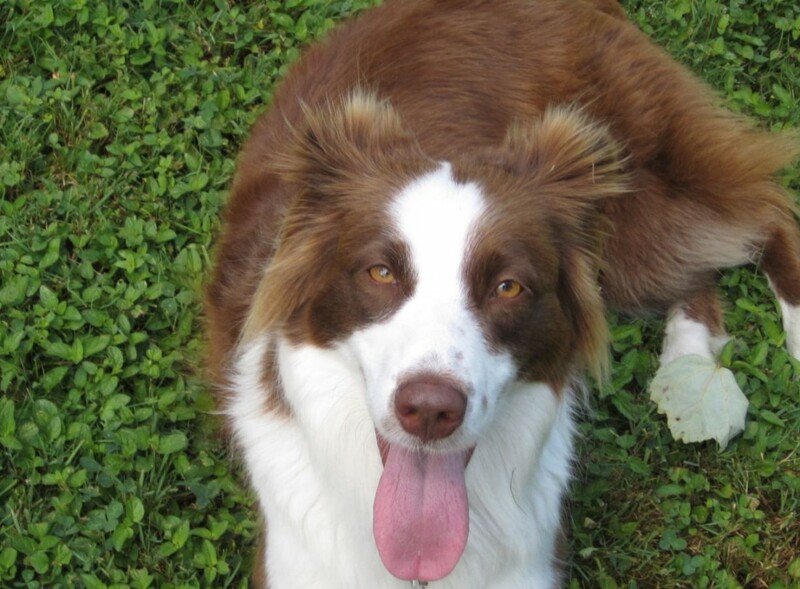 Categories: Adopting dogs, animals, Border Collies, cats, cats and dogs, Dogs, joyfulness, spirituality | Tags: adopting dogs, anmal abuse laws, baileysjournal.com, friendship, furry friends, indiansummers.org, joy, kisses, love, partnership, princess dogs, puppy mills, rescue dogs, spirituality, unconditional love | Permalink.